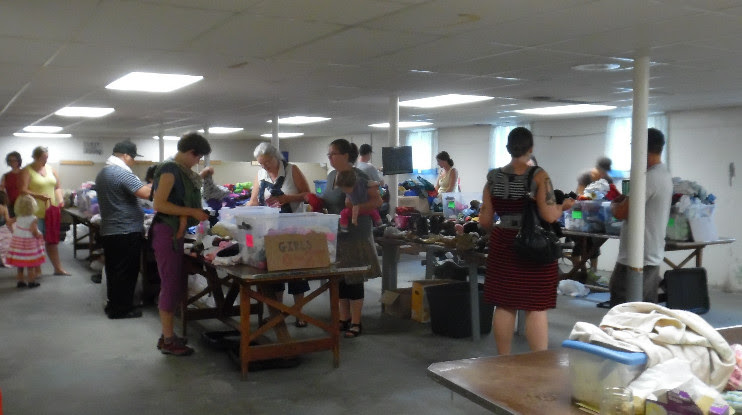 The MONTHLY Children’s Clothing & Gear Exchange. 2nd Saturday, every month. 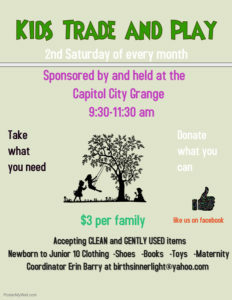 Take what you need/drop off your gently-used kids’ clothing & toys. Or just have coffee (or tea), socialize while the kids play and get information. $3/family. This series is sponsored by CCG#469.